As both adjective and adverb, the word very is appropriate in many contexts, but when prefixed to a strong word like chaotic, it weakens expression. That lamp is the very thing for my new end table! Private car ownership is all very well, but billions of cars take a toll on the planet. –Do you like me? –Very much so! This is the very last size six they have in the store. –Private Jones, bring me my rifle. –Very good, Sir! The use of very becomes questionable when it’s slapped indiscriminately onto adjectives that don’t need it. 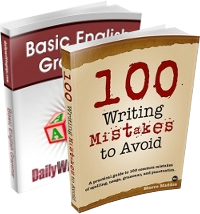 With throwaway adjectives like good, bad, and nice, adding a very does no harm; it may even contribute a little meaning to mostly meaningless words. But with expressive adjectives like gory, heartbroken, and chaotic, adding a very has the effect of diminishing their power. The growth of the receipts has been very phenomenal. I have a very stupefying headache today. This guy committed very, very heinous crimes. The man became very disconsolate after his wife’s death. Child’s death leaves mother very heartbroken. phenomenal: (in this context) marvelous, extraordinary, fantastic. heinous: hateful, odious; highly criminal or wicked; infamous, atrocious. disconsolate: of a person: lacking consolation or comfort; forlorn, inconsolable. heartbroken: overwhelmed with anguish, despair, or grief. Very has its uses, but next time you are tempted to put it in front of an adjective like overwhelming, you might want to reconsider. Do you really need that “really’? You forgot my favorite – “very unique”! “Do you need” is boring and does not allow for varying degrees of need. 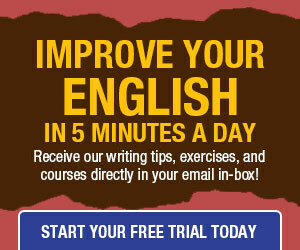 The grammar of some languages provides for emphasis; English does not. Words such as really and very add emphasis and usually are preferable to colorful metaphors. Still, we should think about whether a situation calls for being emphatic. Formal writing rarely does.